Los Angeles down town is kind of boring. 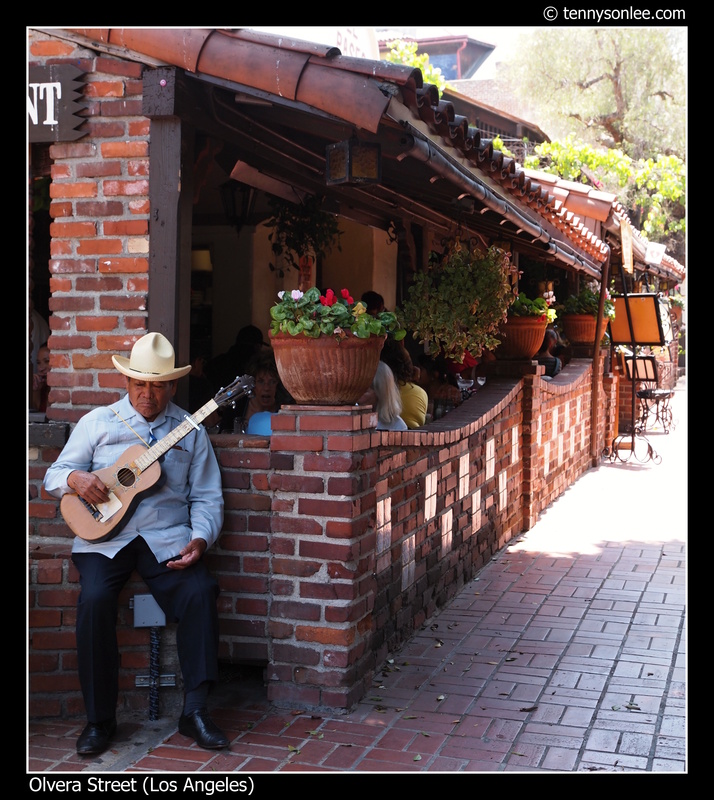 Olvera Street is one of the more interesting streets in LA. 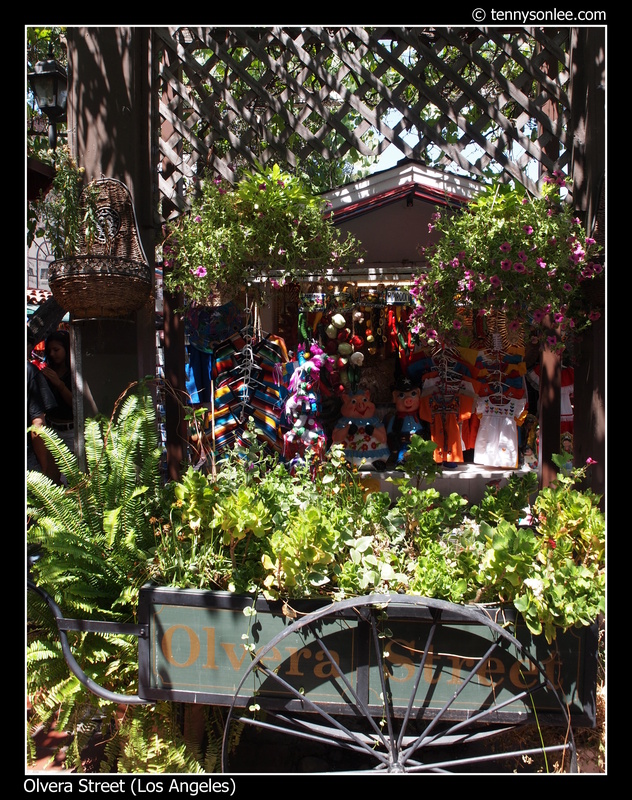 This part of the oldest area in Los Angeles. There are few historical buildings that bring visitors back into the 1800s. 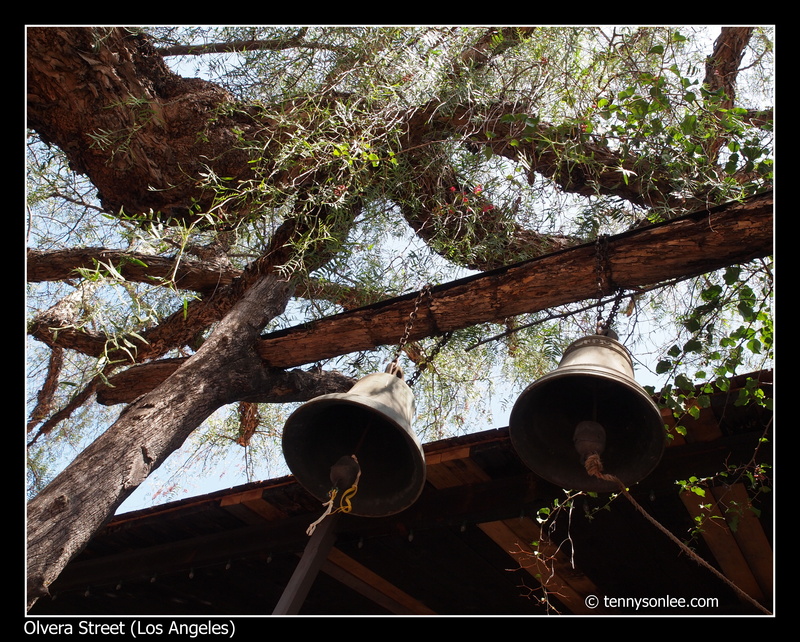 This street was announced as California State Historic Landmark. And it is far more interesting than Hollywood Boulevard (or I should say ‘different’). This short street was originally wining making area. You can see the sundial on the photo above. 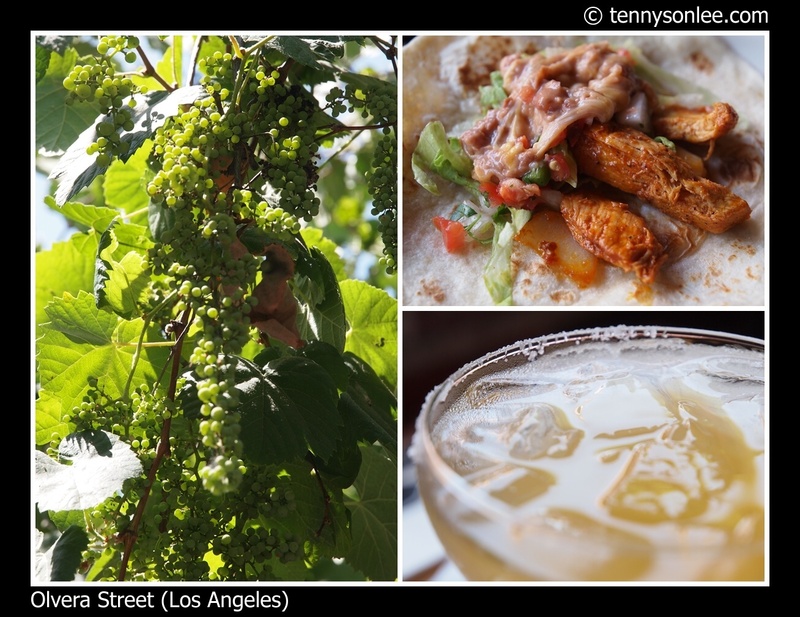 The whole street was well covered with trees and plants, including grape trees. I love Mexican food, especially with a glass of Margarita. The dining here on Saturday would be a relaxing event. 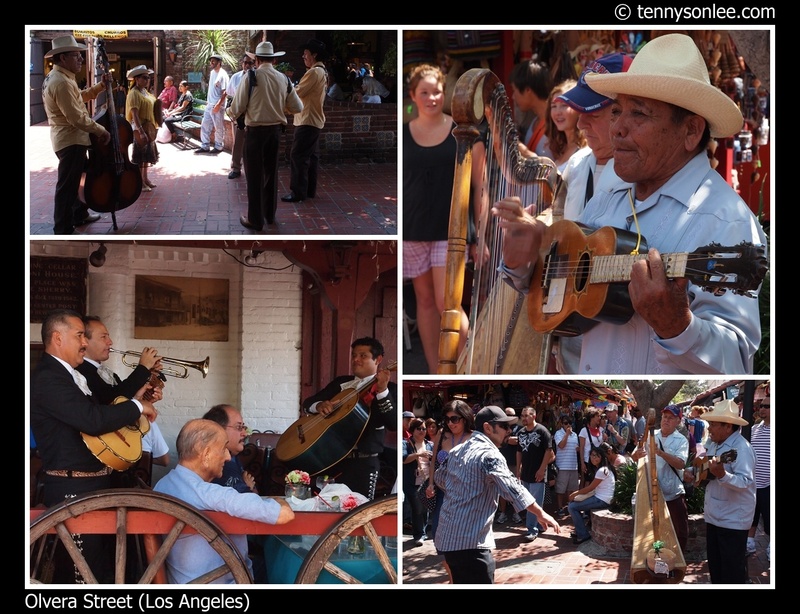 On weekend, the locals are playing music and dancing on the street. It creates the carnival kind of atmosphere under the warm summer day. With the shading covered by the trees, the ambience is just wonderful. 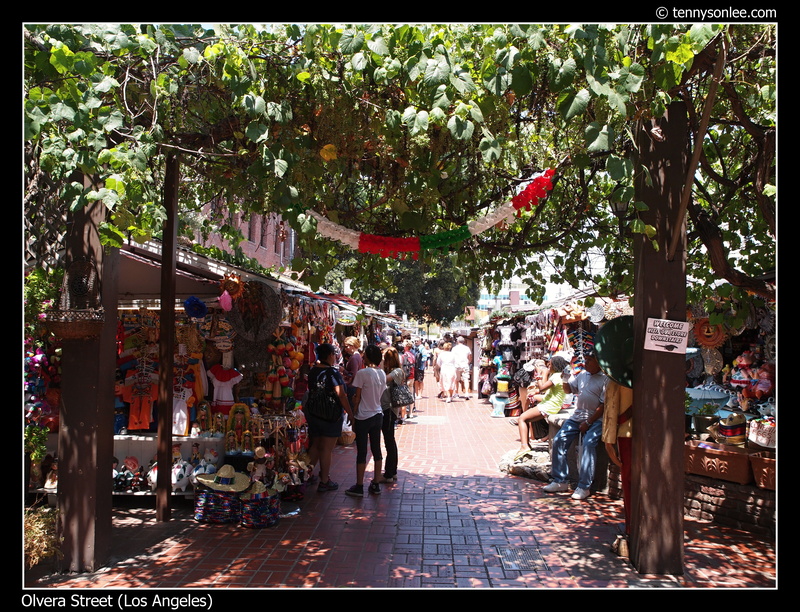 Olvera Street is a perfect getaway in LA. 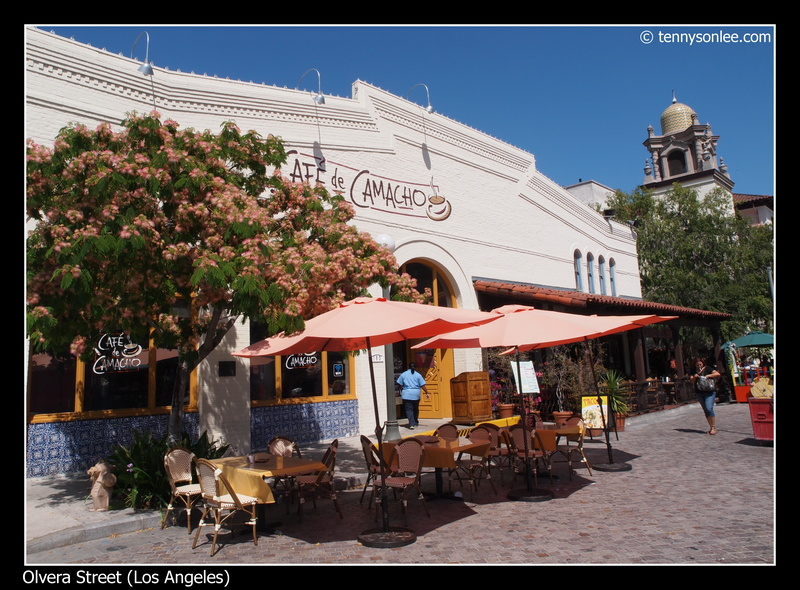 It is just opposite Union Station so don’t miss it on your next visit to LA. You can skip walking to the Chinatown because that area is less interesting (based on my last visit in July 2011). This entry was posted on July 9, 2011 by Tennyson. 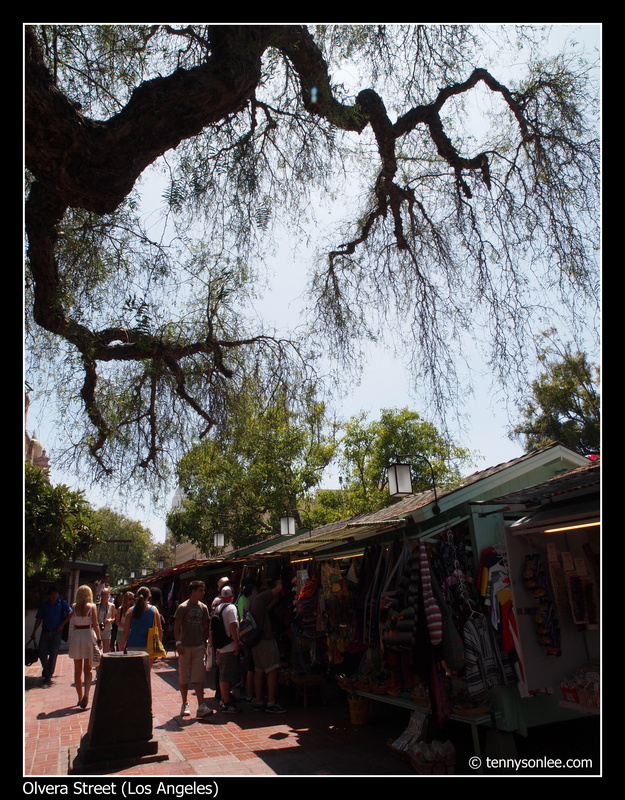 It was filed under Architecture, California, Culture and Religion, Food, People and Portrait, Places, Street, United States .